Recent events in New Zealand have left me hurting and confused. Do not get me wrong, I am not comparing my hurt to those that were directly affected by the terrorist attack, nothing can compare to that at all…and my heart breaks thinking of the pain and suffering they must all currently be experiencing. The pain of knowing their family members were gunned down while they were peacefully praying…the pain of knowing they will never return; including a 3 year old child. I saw a haunting picture on Facebook where a lot of the cars were still in the car park..their owners never to return. I did debate wether to write this…I generally try to avoid controversial topics but this has been playing on my mind since it happened and what use is my blog if I cannot express myself? Why does it feel like Muslims being killed is not as important as non muslims (especially white)? Why does it feel like this New Zealand terrorist attack was not worthy of sharing by some people? Why does it feel like for some big influencers (including Muslims) this news need not be shared? Because my FB timeline and even Instagram timeline was eerily silent. Except for mainly my Muslim friends sharing articles. I once asked why doesn’t anyone say anything about the attacks against Muslims in the east and I was told that it is because it is in the East and they can’t relate to it. Although it hurts me when ANYONE is killed ANYWHERE I could kind of understand this. But this didn’t happen in the East. And still there was silence. I do not have a huge friends list on Facebook but even then only one person said something..and that was a few days after the event. However when a Muslim is the terrorist and non muslims are killed a lot of my friends immediately share articles relating to it, change their profile pictures in support, share article after article…some making Muslims look bad. Then the ban the burka posts start…some even started sharing ban halal meat..I will admit I removed most of them. Calls are made for Muslims to speak out and condemn the attack…and if we don’t say anything we are accused of sympathising with the attacker. Some influencers clearly said they weren’t sharing due to the backlash ( I saw a comment explicitly saying this). Their followers and their discount codes seemingly were more important. Even some huge Muslim influencers remained quiet because it would mess up their pretty feed. Surely if you have thousands of followers it is the perfect opportunity to get awareness out there…but NO, showing off their clothes and pretty backgrounds is more important. I do not care right now if that comes across as judgemental..it is how I currently feel and I will stand by it. However I guess if they do not share anything about ANY attack then that is a different matter. It hurts that some people are scared to publicly support Muslims. It is sad that the reporting too is biased but that could have a whole blog post of its own. This is the society we now live in. BUT having said that….I eventually thought to myself does it matter? The truly important people ARE sharing. Local churches reached out to our masjids. One priest even visited one of the mosques on Friday prayers. 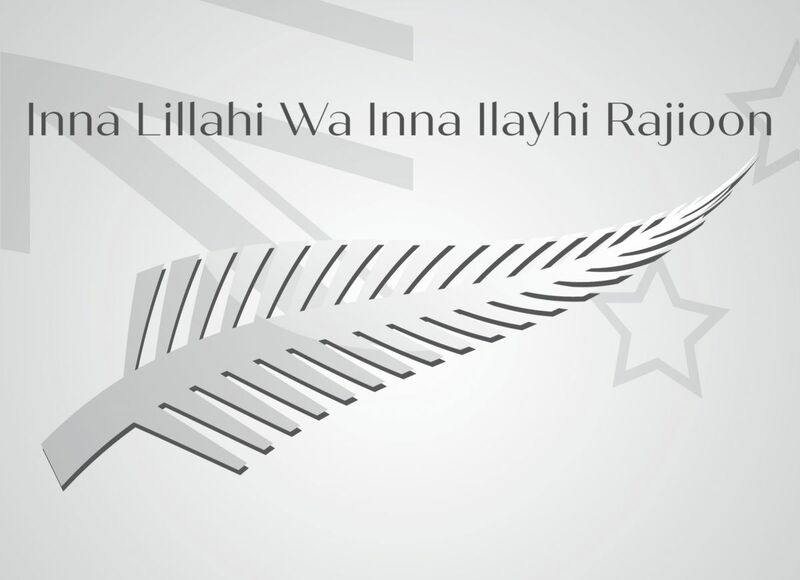 The New Zealand community are rallying around and sharing the grief. There are many other influencers sharing about it and realising the hypocrisy of the media and the way they share news about attacks. Twitter is one of my least favourite social media but that is where I saw the most support and condemnation of this attack. Take a note of the people who did mention it…for those are the ones who are important and worth your time. Been speaking to a few people and sadly a lot are also feeling the same way. Well said. All we can do is volunteer in local hospitals and schools community events. So people see Muslims are not any different and there is nothing to fear. I am glad you wrote this! Very true they literally speak up during the times of need! I did almost not publish it!